The conference will be a platform for participants to discuss the current situation, challenges and advancements relating to state building, political stability, security and peace in Somalia. 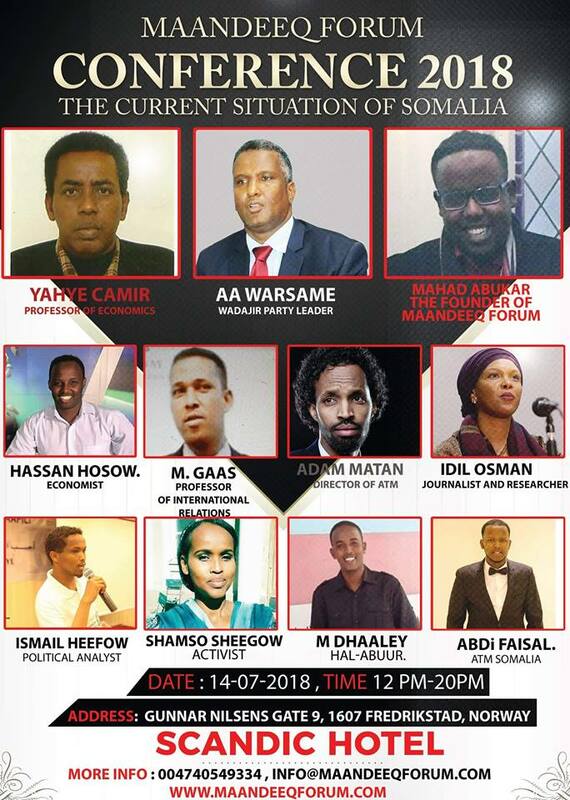 The Forum will seek to encourage sharing experience and best practices and insights to promote democracy, peacebuilding, and state building in Somalia. The focus is on how to advance political stability, defeat terrorism and advance culture of democracy and tolerance in Somalia. Feel free to take a friend or two.